WASHINGTON — Taking their cue from the Golden Globes, a group of Democratic women in Congress plans to wear black to President Donald Trump's first State of the Union address on Tuesday. Support for the symbolic protest is high within the Democratic Women's Working Group, which includes all of the Democratic women in the House, Rep. Jackie Speier, D-Calif., told NBC News earlier this month. "This is a culture change that is sweeping the country, and Congress is embracing it," Speier said. 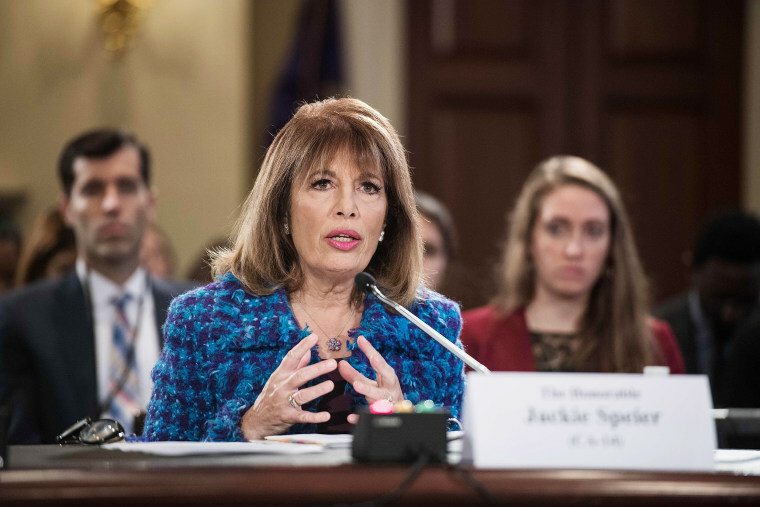 Speier said that she and the other members of the women's group were inviting men and women attending — both Democratic and Republican — to join in. Dozens of actresses and several men dressed in black for the Golden Globe Awards on Jan. 7 in Beverly Hills, California, in a statement of solidarity with victims of sexual misconduct as part of the #MeToo and #TimesUp movements.